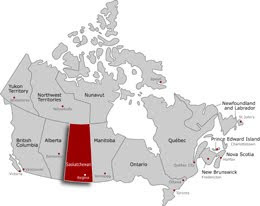 Facts relating to western Canada. In 1894 George and Louisa packed their family onto a train headed west to Saskatchewan Why they decided to do that, I can only guess, but it seems likely that farming in Glen Huron, Ontario wasn't up to much - the land there wasn't really suited to it. 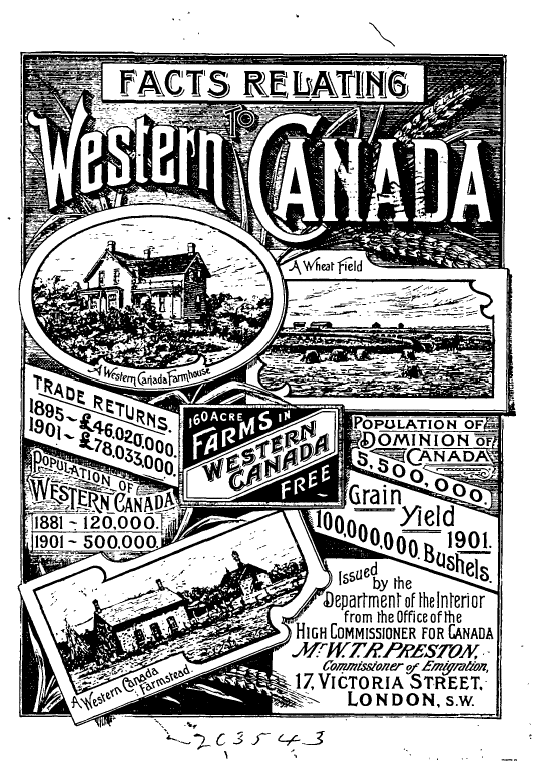 Saskatchewan, on the other hand was considered the best place in the country to grow wheat. 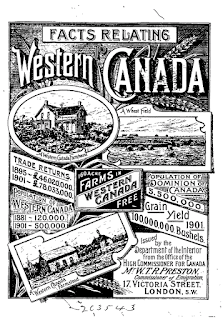 And the Canadian government, through its homesteading act, was encouraging people to go there, with offers of free land. New settlers could pay $10 to apply for 160 acres, and if they started clearing it, built a house and got some crops growing within a few years, the land would be theirs. As far as I can tell, George didn't take advantage of this opportunity when he first settled in Saskatchewan. Homesteading records are easy to find online, but there's only one mention of George among them, as George T Smith, relating to a property he acquired some years later. 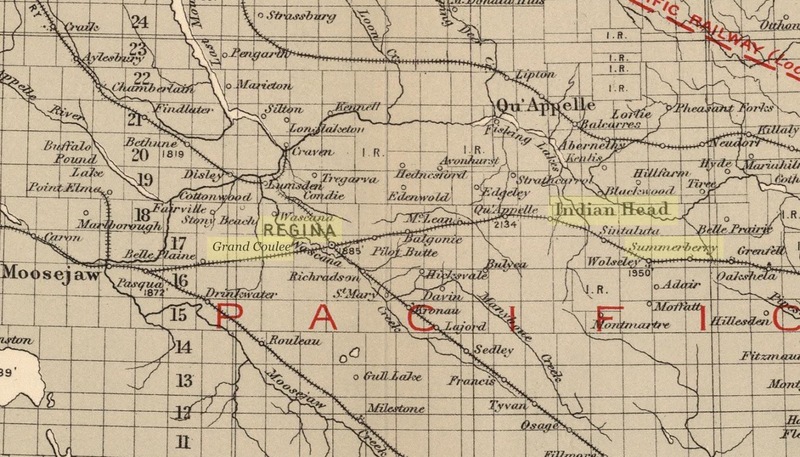 But then again, I don't know the exact location of the first property he owned, so there might be a land grant record pertaining to it that I haven't found. 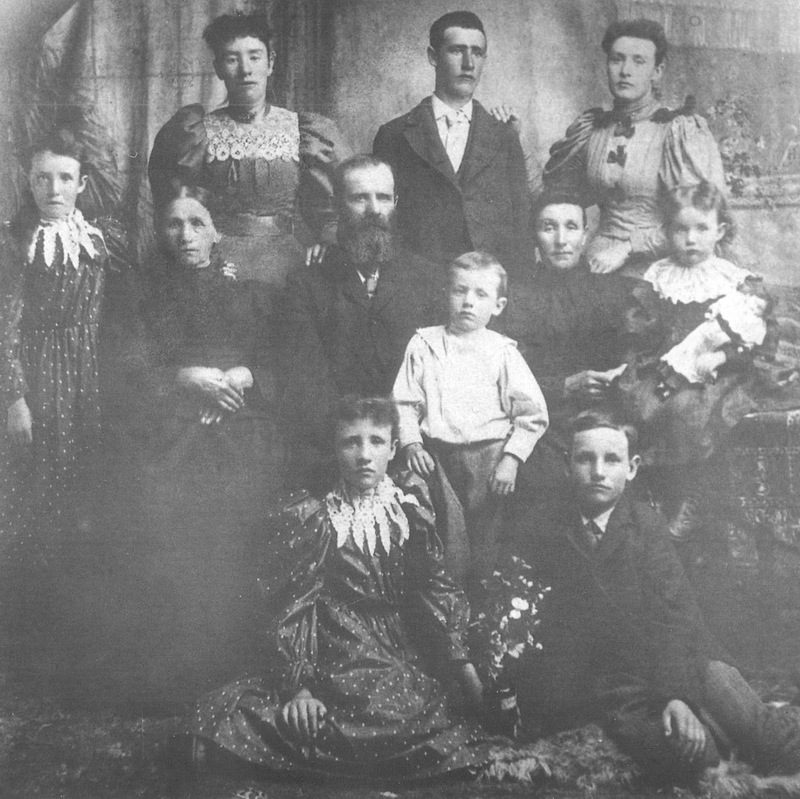 It’s not known if Louisa’s mother, Jane Murphy, travelled to Saskatchewan with the family, but she appears in this family photo, which daughter Prue believed was taken there in 1896, when she was three years old. George and Louisa made Saskatchewan their permanent home, living in four different areas - Indian Head, Summerberry, Grand Coulee and Regina. These are all reasonably close to each other, in southeastern Saskatchewan - within about 100 miles of the US border. Here are two maps, so you can get your bearings. If you have really good eyes, you can see where the capital, Regina, is. all along the Canadian Pacific Rail line. The next few posts will be about the family's time in each of these locations.